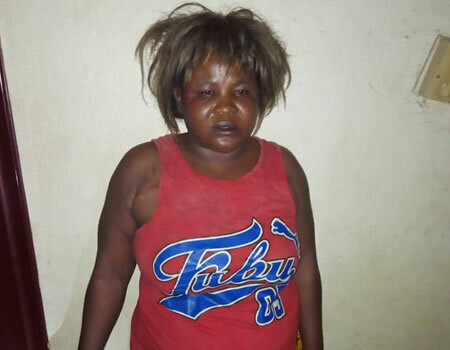 A 35-year old woman, Dorathy Sunday of Izzi, Ebonyi State has been arrested by the Anambra State Police Command for stealing a five days old twin baby boy at the maternity ward of the Nnamdi Azikwe University Teaching Hospital, Nnewi, Anambra state. 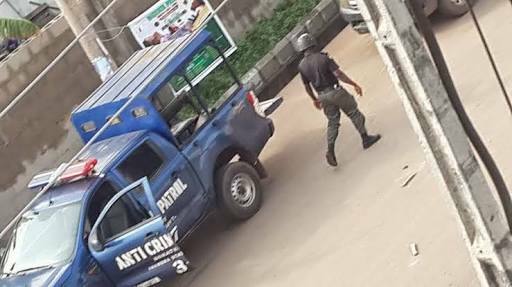 The command Public Relation Officer, PPRO, SP Haruna Mohammed, who disclosed the arrest in a press released at police headquarters Awka, said at about 5:50 pm, on Wednesday 30th January 2019, Police detectives attached to Central Police Station (CPS) Nnewi arrested one Dorathy Sunday ‘f’ aged 35 years of Izzi of Ebonyi State for stealing a baby. According to Mohammed, the suspect sneaked into the Nnamdi Azikwe University Teaching Hospital Nnewi and stole a five days old twin baby boy at the maternity ward of the hospital when the mother of the baby, one Mmadu Happiness Miracle ‘f” Aged 22 years of Uruagu, Nnewi went to the hospital compound to wash her clothes. However, Luck ran out of the suspect when Nurses at the hospital gate saw her in a suspicious manner and raised an alarm which led to her arrest. Meanwhile, the stolen baby was recovered in good condition and the case is under investigation after which the suspect would be charged to court.